A public school district in Eastern Texas is under fire amid allegations it made up quotes by famous figures in order to promote Christianity to its students, posting them to the walls of the four schools in the district. The Mount Vernon Independent School District is accused of misattributing quotes to George Washington and Ronald Reagan among others and faces demands to remove the false statements from its walls. “It is impossible to govern a nation without God and the Bible,” George Washington said—according to the district. 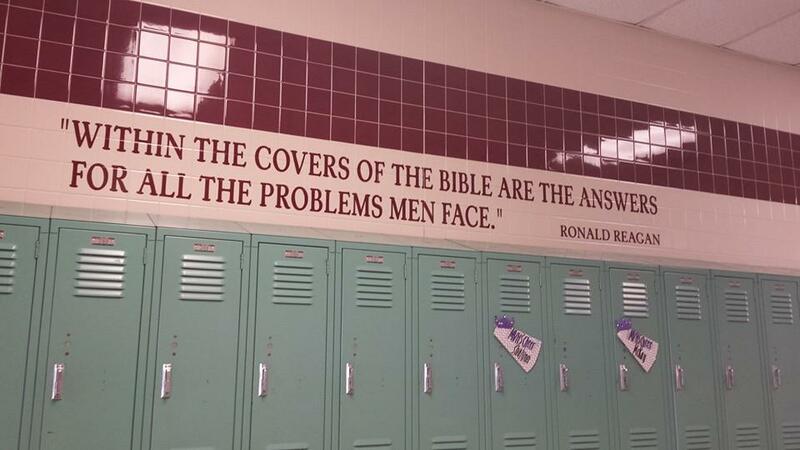 “Within the covers of the Bible are the answers for all the problems men face,” it claims Ronald Reagan opined. The Freedom from Religion Foundation, a non-profit organization, says these quotes are false. It recently wrote a letter to the school district asking that they correct their misattributions. Staff Attorney Sam Grovercalled the alleged Reagan quote “dubious, and, incidentally, intellectually lazy since that is not a direct quotation.” In a letter to the district, he alleged it, along with other quotes, had been taken out of context to promote Christianity specifically. “When MIVSD manipulates historical quotes by removing context and isolating lines that promote Christianity and religion in general, it violates the right of conscience of its students,” Grover wrote. He accused the school of misquoting (or using quotes misattributed to) John Adams and Thomas Jefferson (in addition to George Washington and Ronald Reagan). 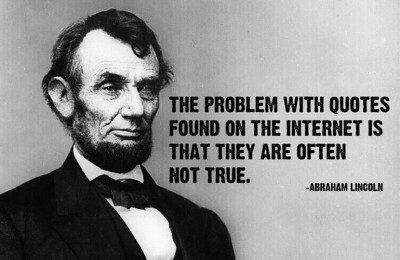 It’s unknown where the schools got the lines from, but after a quick Google search, it’s clear that there are plenty of misattributions of these very same quotes found on internet memes. While the schools’ misattributions and blatant promotion of one religion over others appear to be undoubtedconstitutional violations, the story highlights an even deeper issue with belief. It is telling that the quotes on the walls of the schools in the district frequently quote political figures. Whether it be “founding fathers” or the more recent leader, Ronald Reagan, the school district is attempting to use political authority to promote another dogmatic belief. This faith in the United States—so often expressed as nationalistic faith in government institutions themselves—has led to a manipulation of facts similar to what the Texas school district is accused of committing. While in recent years, the Texas school board moved to change the curriculum to promote Christianity, last year Colorado students walked out of school in protest of proposed changes to their district’s history program. The changes would have downplayed the significance of civil disobedience, among other things. The Advanced Placement (AP) board, a non-government body that offers college-level classes to high school students, recently changed its standards to promote “American exceptionalism” in an attempt to pacify outraged politicians who claimed the prior curriculum insulted the United States. The AP softened its standards on discussions of slavery and American colonialism that decimated the natives’ way of life. It strengthened sections that promote the idea that United States’ military intervention has not only been successful, but necessary. Whether the religion is Christianity, Islam, Judaism or the State, it remains that dogmatic adherence to any set of beliefs can lead to desperate attempts to protect faith. While not all Christians would endorse the school district’s misleading actions—just as not all Americans favor sugarcoating their country’s history—attachment to collective identities continues to prove a dangerous element in society’s drift from truth.